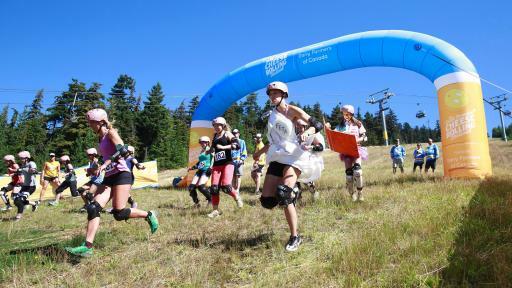 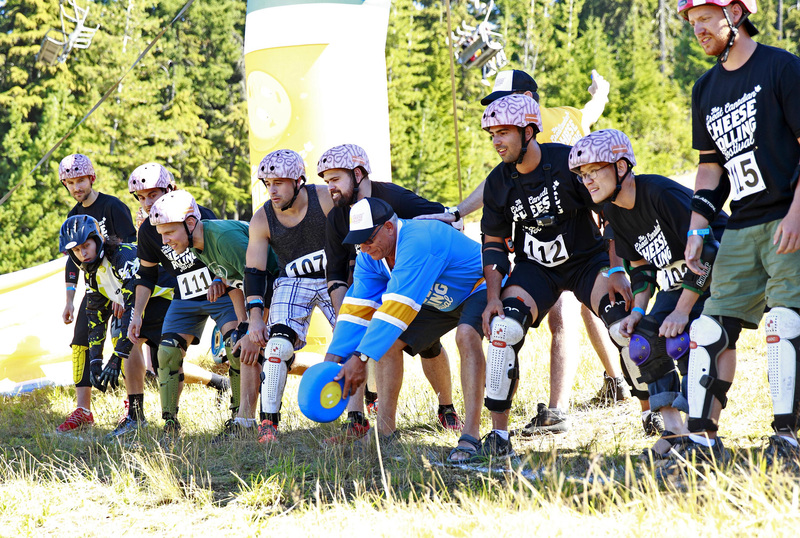 Today, in Whistler, British Columbia, 153 determined, cheese-loving competitors and close to 10,000 enthusiasts gathered for the ninth edition of the Great Canadian Cheese Rolling Festival, hosted by Dairy Farmers of Canada. 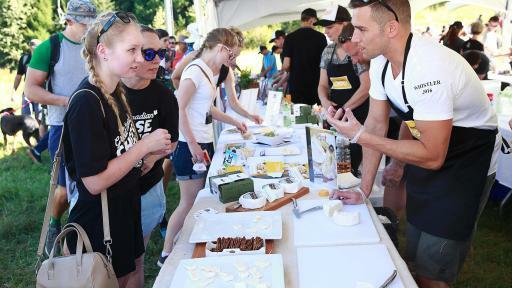 The much-anticipated festival featured cheese rolling races, cheese and cooking seminars, a cheese market, and other free and fun activities for the whole family. 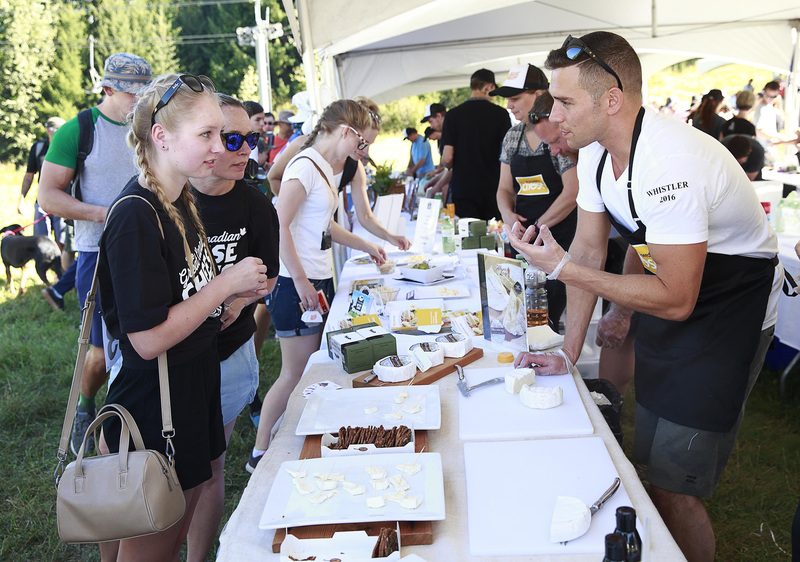 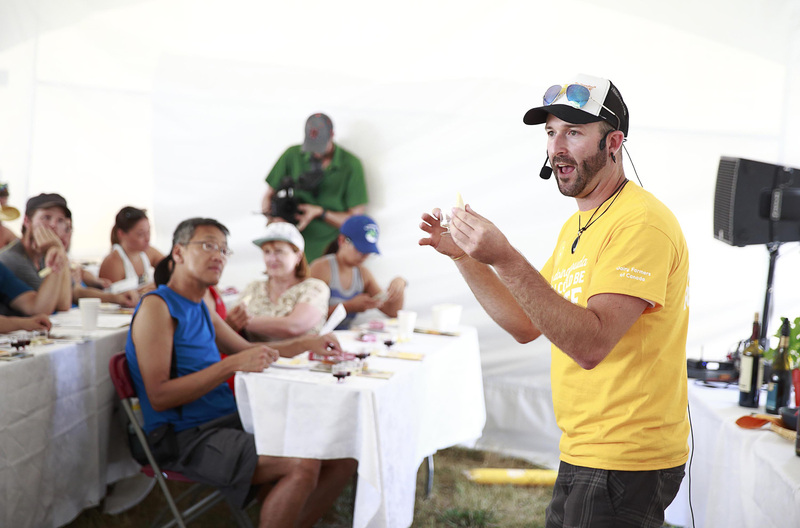 Competitors spent the afternoon chasing an 11-pound wheel of Aged Farmhouse Cheddar, produced by Courtenay, BC-based cheese maker Natural Pastures, down Blackcomb Mountain until champions were declared. 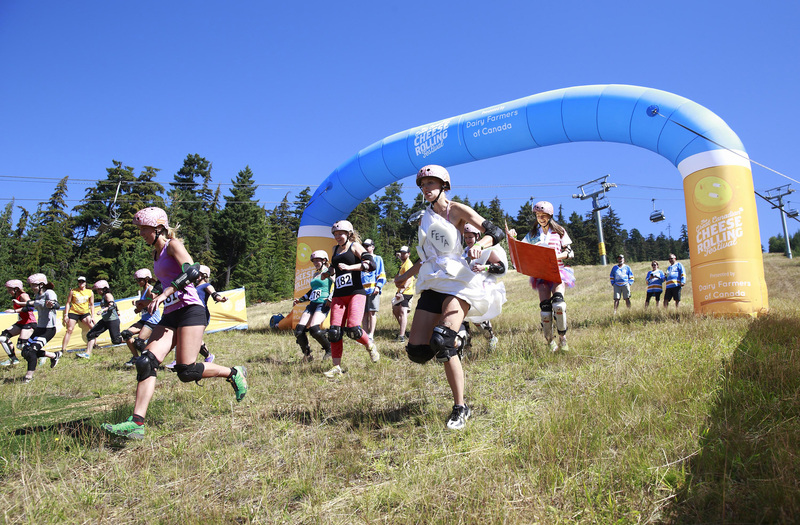 Laura Chipman from Bainbridge Island, Washington won the women's race, and Mike MacDonald from Summerland, British Columbia won the men's race. 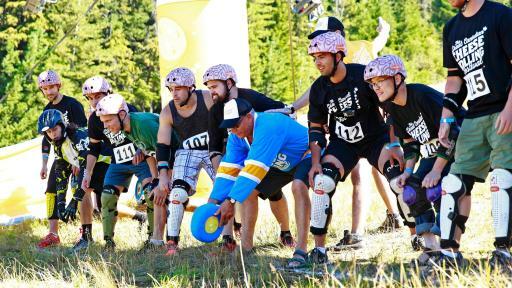 The two Grand Champions each went home with a wheel of the delicious Canadian cheese and a pair of Whistler season's ski passes. 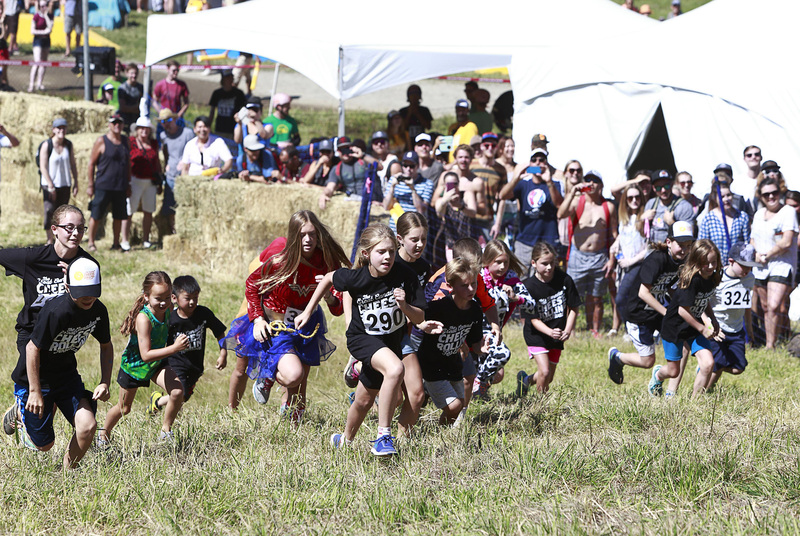 As for the kids, 105 children had the opportunity to race: children aged 3 to 14 participated in uphill races and teens aged 15 to 18 participated in downhill races. 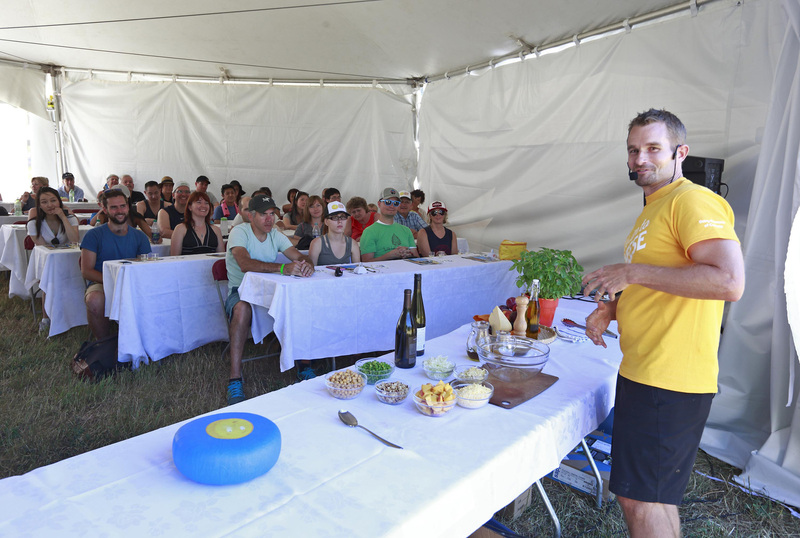 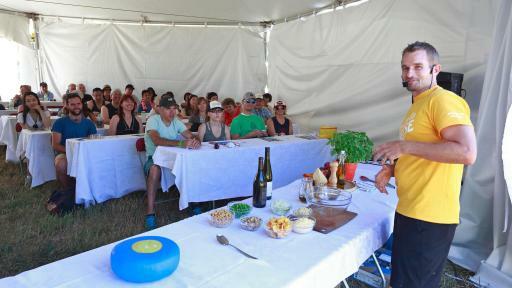 In addition to the races, adventurous cheese lovers took in a host of other fun activities including cheese and wine pairing seminars, recipe demos with chef Ned Bell, and a Cheese Market featuring cheese makers from across the country sampling a large variety of delicious Canadian cheeses made from 100% Canadian milk. 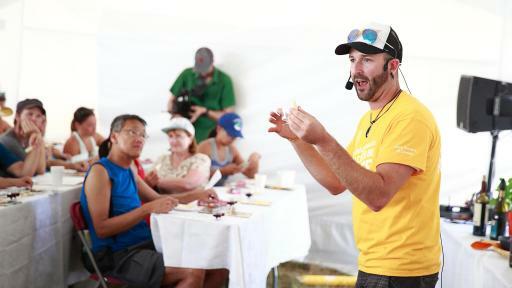 New this year was Just for Laughs comedian Ivan Decker as the festival emcee, uphill dodge ball, where competitors raced up the hill dodging foam balls, and a smoothie bar sponsored by IGA Marketplace. 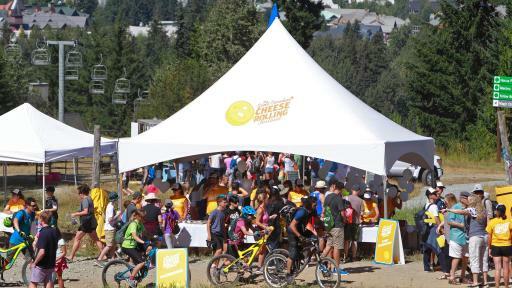 The festivities continued after the event at the Après Cheese party at Black’s Restaurant in Whistler Village, where festival goers enjoyed a Canadian Cheese Rolling-inspired menu, sampled more cheese and had the opportunity to win one of the 11-pound wheels of cheese. 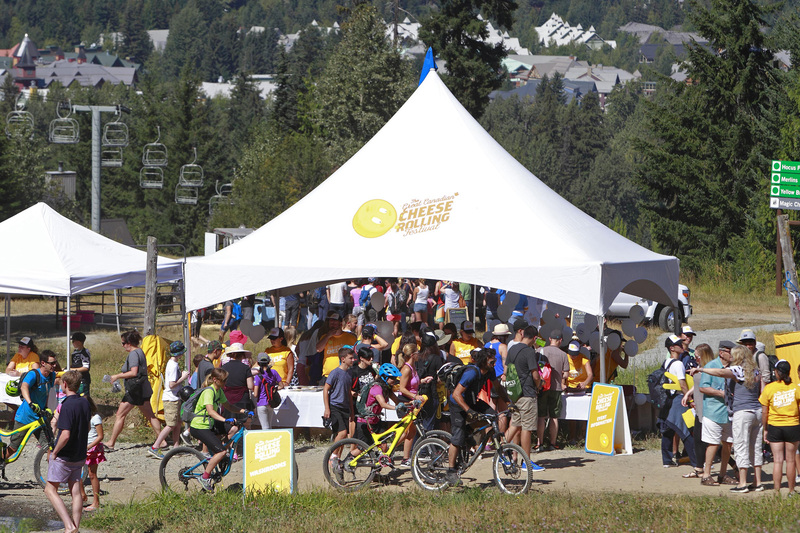 Adding to the excitement, all attendees were encouraged to come wearing a costume for a chance to win fabulous prizes from local restaurants and sponsors. 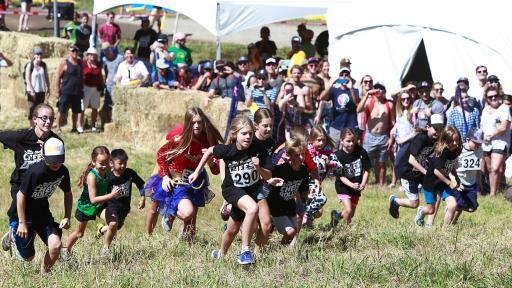 Winners were judged by the crowd and awarded in four categories including best individual, team, child, and cheesiest costume. 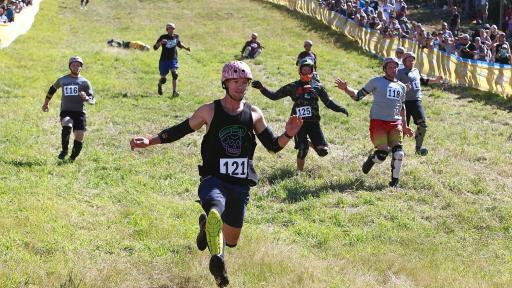 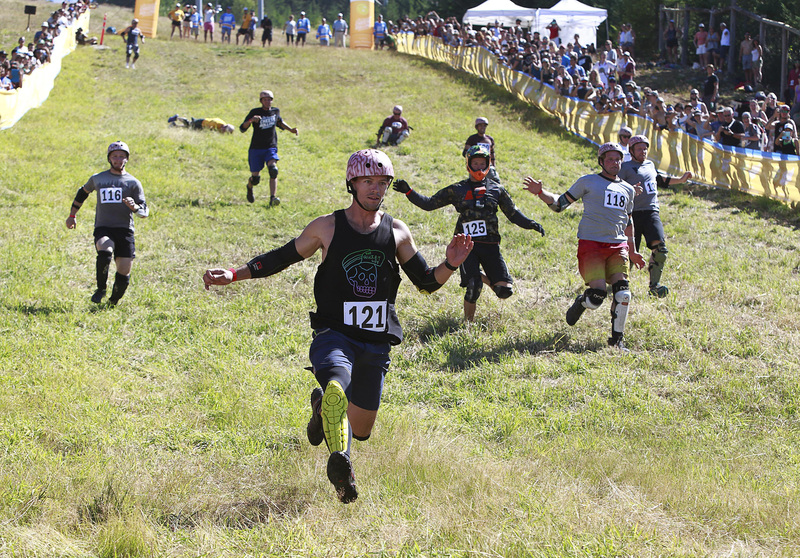 Visit canadiancheeserolling.ca for more information about the Great Canadian Cheese Rolling Festival.